Democrats, especially those in red parts of the country, are taking a page from Trump’s 2016 campaign and bashing the high price of pharmaceutical drugs, The Hill reports. Vice President Mike Pence said Trump is “keeping his promise” to kickstart the economy while rallying Minnesota Republicans in Minneapolis Wednesday. Billionaire Tom Steyer’s impeachment crusade could lay the groundwork for his own presidential run, the Daily Beast reports. CA-22: The Wall Street Journal profiles Devin Nunes, the California Republican at the center of the House investigation into Russia. HI-1: “A year after formally leaving the Republican Party, Hawaii State Rep. Beth Fukumoto announced late Wednesday night she will run for U.S. Congress,” NBC’s Charles Lam and Traci Lee report. IL-12: Brendan Kelly, who won his Democratic primary last week, said in an interview he would not support House Speaker Nancy Pelosi. IN-Sen: Republican Senate hopeful Mike Braun is out with a new ad poking some fun at his opponents similarities ...both ideologically and physically. 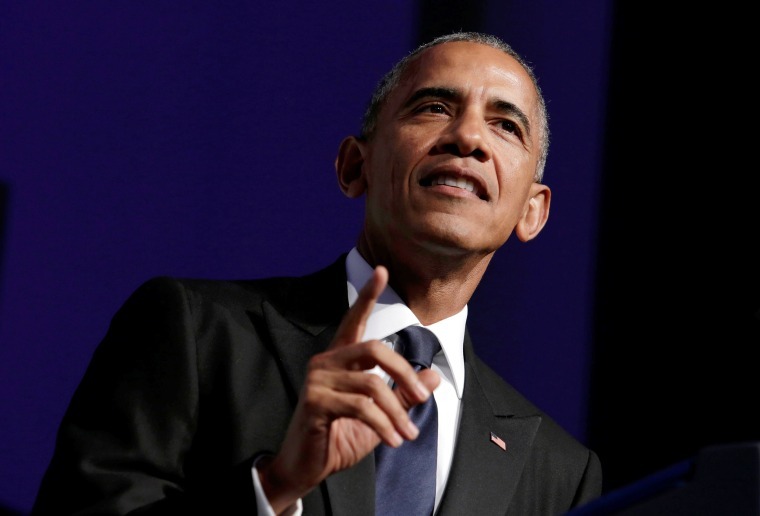 MO-Sen: Former President Barack Obama will dip his toe back into campaign politics in May when he appears at a Beverly Hills fundraiser for Democratic Sen. Claire McCaskill. MS-Sen: Cindy Hyde-Smith, appointed to fill outgoing Sen. Thad Cochran’s seat, met with White House officials on Wednesday following reports that Trump had no plans to endorse her. NY-Gov: A Quinnipiac poll found New York City Democrats prefer Gov. Andrew Cuomo over primary challenger Cynthia Nixon by a 43-point margin. OH-Sen: The AP reports that GOP Senate candidate Jim Renacci failed to disclose nearly $50,000 in donations he raised while working as a lobbyist. “President Donald Trump ousted Secretary of Veterans Affairs David Shulkin Wednesday, announcing his intent to nominate the White House physician, Admiral Ronny Jackson, to fill the post and ending weeks of speculation about when the embattled cabinet official would leave the administration,” NBC’s Jonathan Allen and Ali Vitali write. “Dr. Ronny” and the president have formed a close bond from frequent travel together, the AP reports. Shulkin said his ouster was the result of “the ambitions of people who want to put VA health care in the hands of the private sector” in a New York Times op-ed. USA Today with five things to know about VA nominee Ronny Jackson. Despite the controversies, polling out this week shows the president’s approval numbers are on the rise, The Hill reports. The Trump administration remains “cautiously optimistic” that a summit with North Korea will take place, though key details have yet to be determined. Meanwhile, South Korean officials announced they will meet with Kim Jong Un at a border village on April 27. And the president called Roseanne Barr to congratulate her on the reboot of her sitcom.